Parallels: Blue Refractors, serial numbered to 150; Blue Wave Refractors, serial numbered to 50; Gold Refractors, serial numbered to 50; Orange Refractors, serial numbered to 25; Black, Cyan, Magenta & Yellow Printing Plates — each serial numbered “1/1”; Purple Refractors, serial numbered to 10; Red Refractors, serial numbered to 5; Refractors, serial numbered to 500; Superfractors, serial numbered “1/1”. All parallels bear serial number on back of card. 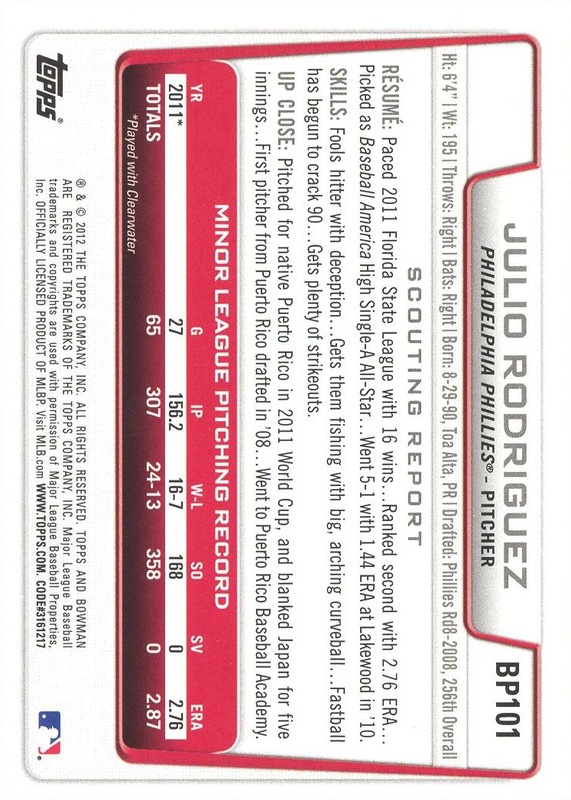 Additional Information: Inserted in packs of 2012 Bowman. 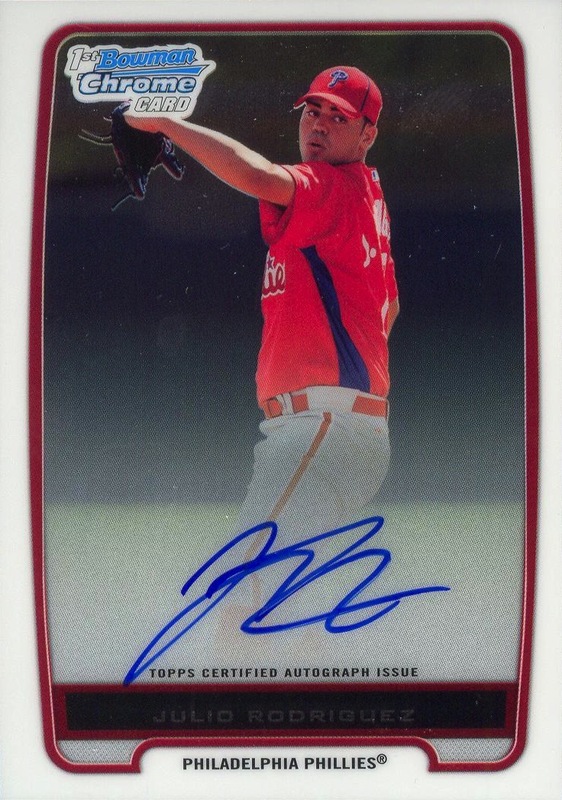 All autographs are signed directly on the card. 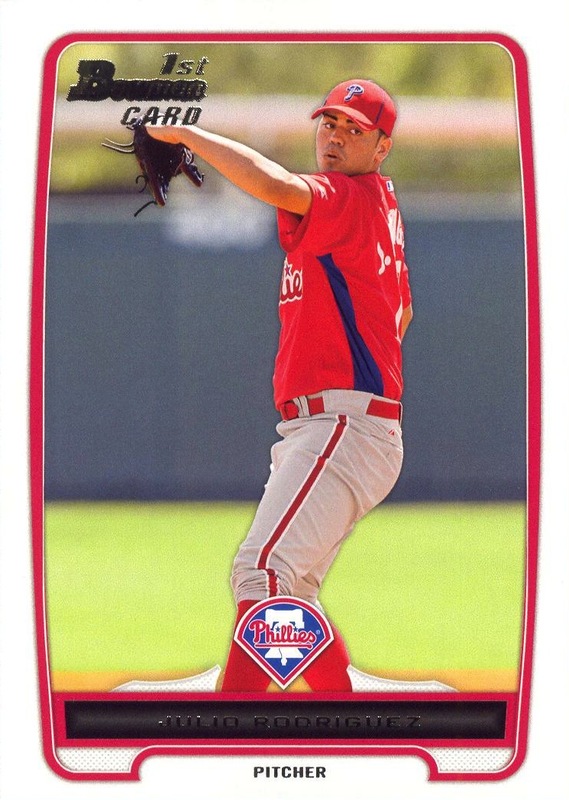 Parallels: Blue, serial numbered to 500; International; Orange, serial numbered to 250; Black, Cyan, Magenta & Yellow Printing Plates — each serial numbered “1/1”; Purple; Red, serial numbered “1/1”; Silver Ice; Silver Ice Red, serial numbered to 25. All parallels bear serial number on back of card. 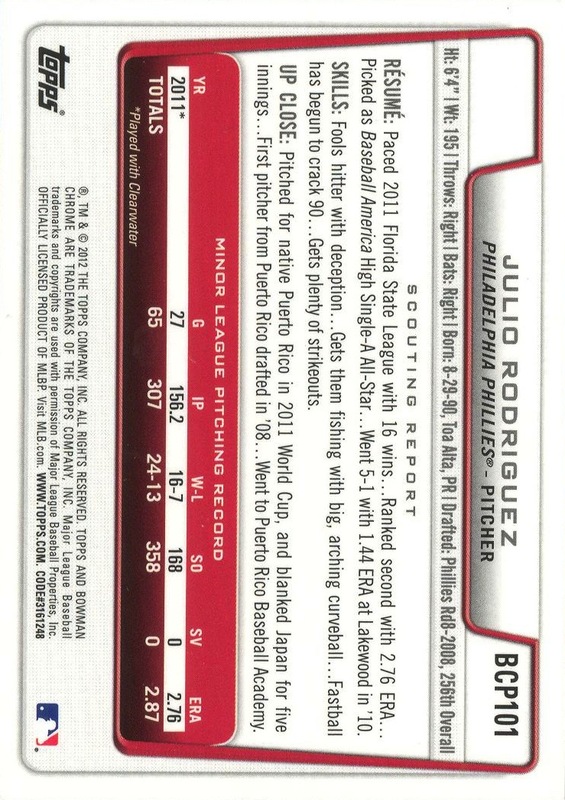 Additional Information: Inserted in packs of 2012 Bowman.